It’s no secret that a seamless shopping experience is essential for converting potential buyers. Before going live for the first time, it's a good idea to test the entire shopping process yourself. In order to create the most realistic experience, we'll walk you through making an actual purchase on your store. While you're at it, we also recommend creating a similarly inexpensive, flat rate shipping method to use with your test order. 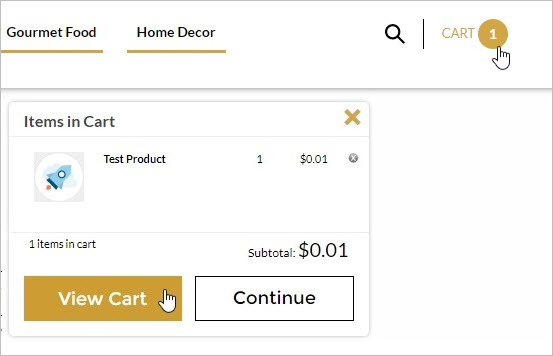 We'll still make sure that your live rates display during the checkout process, but you'll be able to place your test order for a total of 2 cents! Before testing, be sure to log out of your administrator account so that you’re viewing the store as a brand new shopper would. Add the test item to your cart, then click or hover over the shopping cart icon to start the checkout process. On the shopping cart page, you'll see a list of items you’ve added to your cart, along with their total costs and quantities. Review the contents of your cart to ensure they're correct, and confirm that any automatic discounts were successfully applied. You can enter your basic shipping information to test whether your preferred shipping methods appear, but you'll also have a chance to confirm this later in the process. Not seeing any shipping methods besides "online delivery"? Check out our Shipping guide for configuration steps. If you've enabled Tax on your store, make sure any applicable taxes appear above the order total. Since tax is based on the shopper’s location, tax totals will display once a shopper has entered a shipping address. 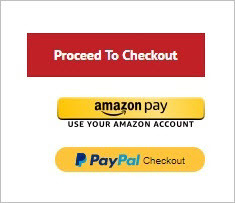 Depending on which payment methods you've enabled for your store, your shoppers can take one of these paths from here: Proceed to Checkout, PayPal Express Checkout, or Amazon Pay. If you offer more than one experience, be sure to place a test order using each one. 💰 You can enable a variety of built-in payment methods for your store, but credit cards are the most common way to pay online. For U.S.-based merchants, we recommend processing those transactions through the Authorize.net payment gateway. To continue and pay by credit card, click Proceed to Checkout. Enter your Billing Information where indicated. Any field with an asterisk (*) is required. Be sure to use a valid and accessible email address; you'll be accessing that account later to confirm receipt of the order confirmation email. 📝 If you don't want customers to create saved accounts, you can enable All Checkouts Anonymous. Confirm that your Shipping Information automatically populates with the details you entered for your billing address. 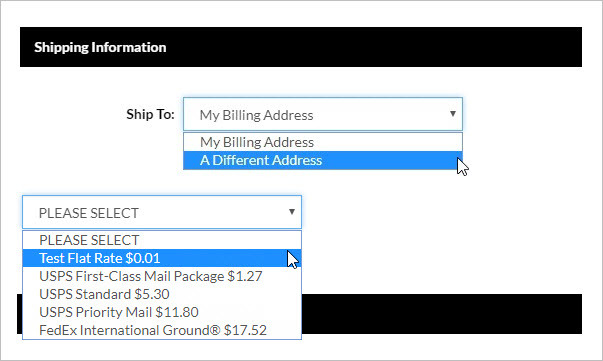 To use a different address, select the appropriate option from the "Ship To" drop-down menu and enter address details in the newly exposed fields. Logged-in customers see a list of previously used addresses to choose from. 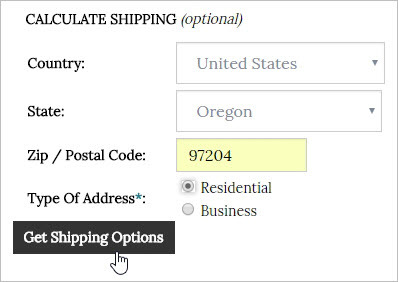 From the shipping method drop-down menu, select the test flat rate method you created earlier. While you're here, make sure any other applicable rates display and are listed in your preferred order. To learn more about configuring shipping methods (and their display order at checkout), see our Shipping article. In the Payment section, choose the Credit Card option from the Payment Method menu and enter your card details. ▶️ Before you can test this method, you'll need to connect your store with your PayPal business account. When the PayPal Express modal appears, log in to your PayPal account and follow the prompts to enter review and approve your order. For more details on that process, see our main PayPal Express Checkout article. Once you click Continue, the PayPal Express checkout modal will disappear, and you'll be redirected back to your store’s checkout page. ✔️ Check to make sure that your address and payment info from PayPal automatically populates on your checkout page. In the Payment section, you'll see a PayPal logo indicating your chosen payment method. ▶️ Before you can test this method, you'll need to set up Amazon Pay for your store. From the shopping cart page, click Pay with Amazon and enter your Amazon credentials in the pop-up window that displays. Once you log in, you'll be redirected to your store's checkout page. Make sure that the Billing Information section shows a "Billing information managed by Amazon" message. Amazon already has your stored billing information stored, so you don't need to fill out these fields! In the Shipping Information section, select an existing address from your Amazon account or add a new one. Next, select your test shipping method again. In the Payments section, use Amazon's Payment Method widget to select one of your stored payment methods. When your shipping and payment details are all set, click Place Order. Once you place the order, you should be redirected to your Order Finished page. You can customize most of the content on this page by editing various articles at Design > Site Content in your Admin Area. See How to Customize Your Order Finished Page for more details. If you receive an error message when submitting a credit card payment, you may not have completely configured your payment processing gateway or card types. 😕 An expired or missing SSL certificate may also be the culprit when credit card payments fail. It’s important to finalize the sale by sending an electronic receipt to the customer. 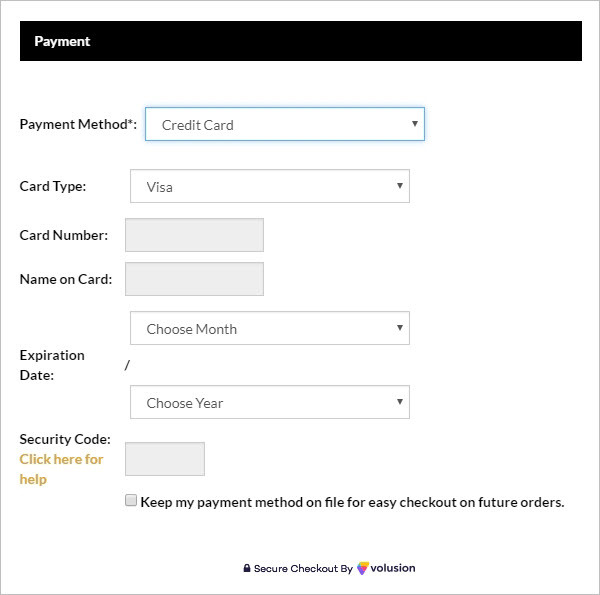 The Volusion software automatically sends an order confirmation email to the email address a shopper entered at checkout. You'll also receive a merchant copy to the email address you entered at Settings > Company. If you used a valid email address when placing this test order, you can log in to that email account to see if you’ve received an order confirmation email. You can also take this opportunity to confirm that the order confirmation email is coming from the email address you prefer to associate with order processing (the "Send Billing Emails From" address). For more information, see the "OrderConfirmation_To_Customer.asp" and "OrderConfirmation_To_Merchant.asp" sections of our Default Store Emails article. Complete your test order process by collecting any payment as needed, then click Complete Order from your Admin Area. See How to Process Orders for more details on processing credit card payments. You'll also notice a few small differences when processing PayPal Express orders and Amazon Pay orders. Once you've processed an order, we recommend walking through the full return process as well. You can issue a refund and even create an RMA to return the product(s) to stock. Note that the may vary slightly when refunding a payment through PayPal Express or through Amazon Pay. If you're taking your site live for the first time, be sure to check out our Go-Live Checklist articles for more tips. As always, our Support team is available 24/7 to help troubleshoot any issues.